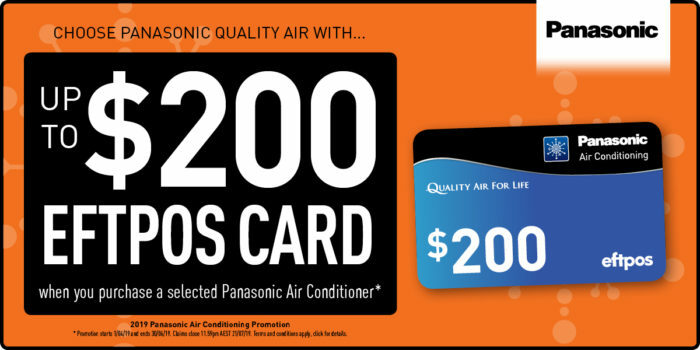 Purchase a selected Panasonic Air Conditioner and receive an Eftpos Card worth up to $200! This promotion ends midnight the 30th of June so get in quick. Terms & Conditions apply, see PDF for details and selected range of Air Conditioners. 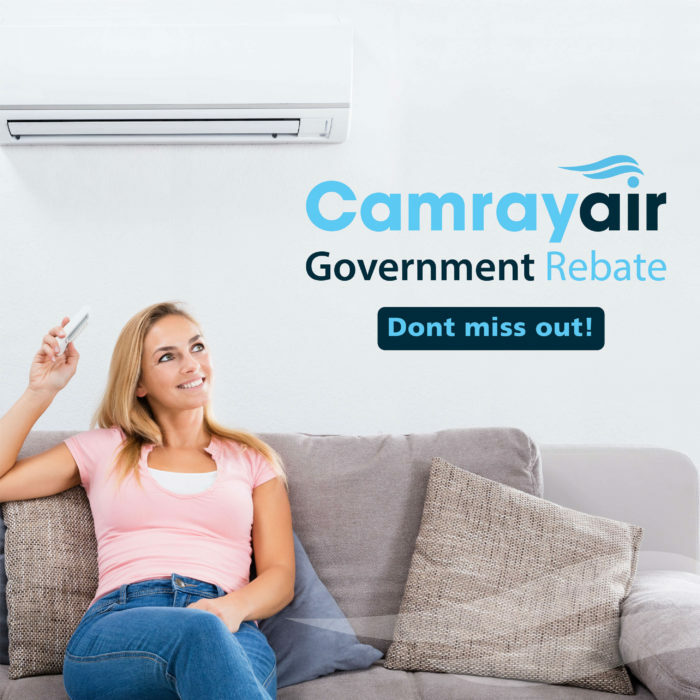 Government Rebates on Air Conditioning – Don’t Miss Out! Take advantage of the NSW Government’s offer of a discount on installing an air conditioner with a high star rating for all NSW households. Camray Air have a number of models that are eligible for the discount and are approved installers. Hurry! They are offering rebates for a limited time only.